YOURDAY BRIDAL, TEL: 012 653 0318. 104 WILLEM BOTHA STREET, ELDORAIGNE, CENTURION. FITTING FEE AND T&C APPLY. 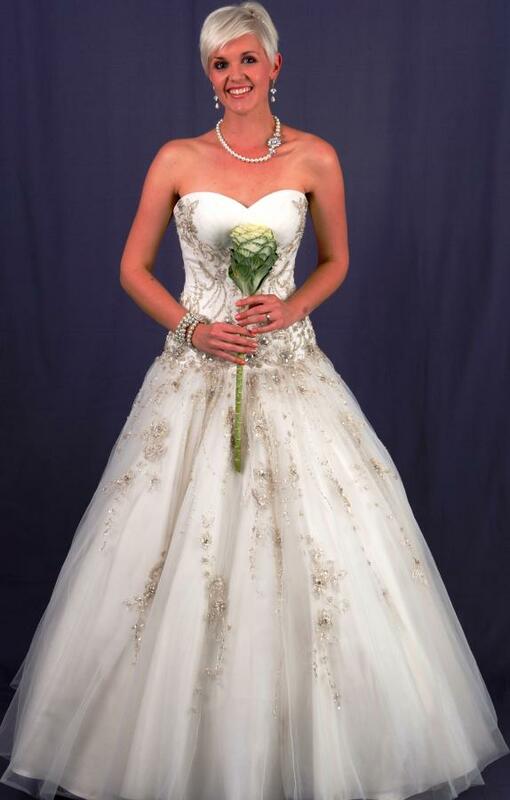 THIS SPARKLING DROPPED WAIST BALL GOWN FEATURES A STRAPLESS, SOFT SCOOP NECKLINE AND FITTED BODICE. BEADING AND EMBROIDERY WITH CRYSTALS ADORN THE ENTIRE DESIGN. WEDDING DRESS APPOINTMENTS CAN BE MADE AT YOURDAY BRIDAL, DIRECTIONS ON CONTACT US ON THE WEB. CLOSE TO CENTURION MALL AND MALL@REDS. PRETORIA, GAUTENG, Pretoria North or Wonderpark shopping centre, Lynwood, Menlyn, Brooklyn, Pretoria East.